UNLESS clinically comatose, one is hard pressed to fail to internalize three highly dangerous and converging intersections: militant Islamic jihad is stirring/priming in America (the west at large) and hiding in “plain sight”; the FBI (and local counterparts) has been ordered to “stand down”; and the PC captured media is back-benching for Allah’s Muslim Terrorists. Yes, they are. That ship has sailed. AND it is this poisonous and twisted nexus which will bring America to her knees, if not stopped. IN this regard, this investigative journalist can personally attest to the out-sized dangers from Islamberg’s jihadi compound, as well as from others spread throughout America. The proofs are manifest. Apparently, The Daily Star is more intent on manipulating the public view with a sensational, skewed narrative that breeds hate, hostility, discord, and unwarranted fear than it is on reporting the truth. While the second and third are more provocative than the first and the last, its April 4, 2016 article, “Biker Group Plans Rally Against Local Muslims,” April 12, 2016 oped, “In Our Opinion: Islamberg Deserves Our Support,” by an unidentified author, May 1, 2016 report, “Islamberg Spokesman: Stand Up Against Hate,” and May 6, 2016 story, “Local Police Brace for Biker Rally at Muslim Hamlet,” about our group, “American Bikers United Against Jihad” (ABUAJ), read more like hit pieces than news. Caution: You have just entered the Twilight Zone . . .
By turning reality on its head and brandishing ABUAJ— an educational, humanitarian group of concerned patriotic Americans from all walks of life that strives to raise public awareness about the very real threat of terrorist cells and jihad in our country — as the arbitrator of hate, public attention and scrutiny are diverted away from the real cause and threat, the true victims of violence and hate are easily silenced and dismissed, and the genuine sources of violence and hate emerge as both victors and victims, while risking the safety and lives of all Americans. As purveyors of biased misinformation, hate, propaganda, and fear, rather than information and facts, the media, by and large, represents one of the greatest security threats we currently face in Western society. Such is the case with The Daily Star, a daily morning newspaper based out of Oneonta, New York, which has painted our group with broad sweeping strokes that warp the public’s view of reality to the extent that we as the messenger have become the news, the story itself, and the target of its attack. Like MOA, Jamaat ul-Fuqra (or “Community of the Impoverished”) was founded by the terrorist and Pakistani cleric Sheikh Syed Mubarak Ali Shah Gilani (aka “Jilani”), who the American journalist Daniel Pearl attempted to interview in Pakistan before he was abducted and later beheaded in 2002. Although he has vehemently and repeatedly denied any connection to it, he is irrefutably identified as the founder and leader of Jamaat ul-Fuqra in Appendix B of the 1999 U.S. Department of State report, Patterns of Global Terrorism, which describes it as a terrorist organization that “seeks to purify Islam through violence” and has ties to numerous terrorist cells located in North America and the Caribbean. Its members refer to themselves as “Soldiers of Allah.”Our initial contact with The Daily Star was with its staff writer Joe Mahoney, who emailed us for details about our May 15th “Ride for National Security” passed Islamberg, a 70-acre Muslim enclave or “settlement” in the Catskill Mountains of Hancock, New York. Headquarters to the Muslims of the Americas (MOA), it was the first of between 22 to 35 of its kind to operate under that umbrella in the U.S. It is also the headquarters of the International Qur’anic Open University (IQOU) and the United Muslim Christian Forum. By many accounts, the group is linked to the terrorist organization Jamaat ul-Fuqra in Pakistan (see here, here, here, here, here, here,here, here, here, here, here, here, here, here, and here, to name just of few of many additional sources). The report also links members of Jamaat ul-Fuqra to the purchase of isolated “rural compounds” in North America, to dozens of terrorist acts against those who they regard as enemies of Islam — including Muslim apostates and Hindus — and cites that U.S. members have been “convicted of crimes, including murder and fraud.” Other reports link ul-Fuqra and Gilani to a “network of 45 paramilitary training camps in the US and Canada,” as well as to Al Qaeda (see here and here). None of this is addressed in The Daily Star’s four pieces about us and our ride. Nor is the fact that numerous think-tank and watchdog organizations — such as The Clarion Project and the Anti Defamation League (ADL) — have designated MOA as an extremist and a virulently anti-Semitic, anti-Christian, anti-American, and homophobic front group for the Islamic terrorist organization Jamaat ul-Fuqra, whose leader and members, in their own words, have promoted violence against these other groups (also see here, here, here, and here). We do not stand with these people. We stand with Islamberg. . . . In attempting to silence discourse and advocacy for political action, The Daily Startakes an isolated incident against MOA members at Islamberg to portray them as victims and to unfairly pigeonhole ABUAJ as haters, when nothing is further than the truth. This is first conveyed by Mahoney’s following email to us but repeated again in all of The Daily Star’s pieces about us. I am a reporter for The Daily Star newspaper in Oneonta, NY. Delaware County falls within our coverage area. I recently learned of the “Ride for National Security” event planned for May 15. Is there a representative of your group whom I could interview? Please provide me with a telephone contact, or call me at the number below. Also, please provide me with any estimates you may have of the number of people planning to attend, and whether you have heard from any law enforcement entities [sic] regarding the plans. At first glance, it appears rather straightforward and benign, but we were immediately struck when we reached Mahoney’s last two lines about Robert Doggart as a glaring red flag of his own possible bias. For those unfamiliar with Doggart, he ran for Tennessee’s fourth U.S. congressional district in 2014 as an independent candidate. He was later arrested in May of 2015 and indicted by a federal grand jury in July of 2015 for plotting to burn down buildings and kill Muslims in Islamberg, New York. As we explicitly stressed to Mahoney in our emailed response below, there is absolutely no association between ABUAJ, the “criminal” case and conduct of Robert Doggart, and the purpose of our Ride for National Security passed Islamberg. It immediately concerned us that you referenced the Robert Doggart et. al matter, when there is absolutely no comparable parallel between our peaceful objective for the ride and his criminal conduct. We have been extremely clear in our promotion of the ride that our sole purpose is educational only, and we do not condone infringing upon anyone’s rights whatsoever. While we are more than glad to speak to you about our ride, we would appreciate your objectivity, journalist integrity, and assurance that you have not already cast us in the same negative light as was warranted by Robert Doggart’s actions. Our effort was of little consequence. Although he went through the motions to contact both sides for a seemingly “balanced” approach, it is abundantly clear that Mr. Mahoney, who never replied, had little interest in communicating with us beyond our initial exchange. Nor has he shown a particular interest in reporting our comments with the objectivity, intellectual honesty, and journalistic integrity that we had requested from him. That same day, April 4 (and without our consent to publish our email to him), Mahoney took creative liberty to exploit our message and intent and released his piece, “Biker Group Plans Rally Against Local Muslims.” Similarly, on May 6, 2016 he sent us the following email requesting our comments for another “news” story that he purportedly was still in the throws of “preparing” but had not yet sent to press. The Problem with Mahoney’s request is that The Daily Star specifically promotes itself as a “daily morning newspaper,” but he asked us for our comments at 3:42 p.m. on May 6, presumably after his story already was printed. For this reason, we were slightly put off when we read in his piece that “[a] representative of American Bikers United Against Jihad did not respond to an email request from The Daily Star for comment on this story.” Neither did he to us. The next day, May 7, 2016, we followed up with the email below to inquire about Mahoney’s deadline for press. Does Mahoney even bother to fact check his sources, or does he rely solely upon the opinions and comments he requests by email but sometimes fails to obtain? The April 12th oped is even further reaching when it states that ABUAJ’s claims are “tired” and derived from “arch-conservative videos and articles found online.” Does the fact that information may or may not be obtained from a conservative source or the “far-right-wing media,” as the oped implies, make it any less true and substantive?Mahoney’s statements above regurgitate the same talking points that are espoused by MOA and the April 12th oped. By labeling and demonizing the Christian Action Network (CAN) a “right-wing group,” he reduces our national security to no more than a partisan issue and discredits the veracity of our sourced information but without supporting his own claims with sourced information himself. This is an insult to our intelligence, as well as to his readers, and a typical tactic employed by the radical left-wing press (a term we use flippantly here to stress the flagrant hypocrisy) to marginalize and silence the truth. It is also discriminatory, hateful, and tremendously shoddy, irresponsible journalism that misleads the public with false information that could imperil the safety of the public he is supposed to serve and begs the question: What standard does Mahoney apply to substantiate his own reports? that anyone else who stands with Islamberg will be waiting for the American Bikers United Against Jihad when their ‘Ride for National Security’ pulls up to the gates of the hamlet. It is our hope that this protest against what can only be described as a peaceful enclave is greeted with a counter-protest demonstrating that the people of our area, particularly those in Hancock and Deposit, stand with Islamberg. There is still some good that could come from this whole thing. 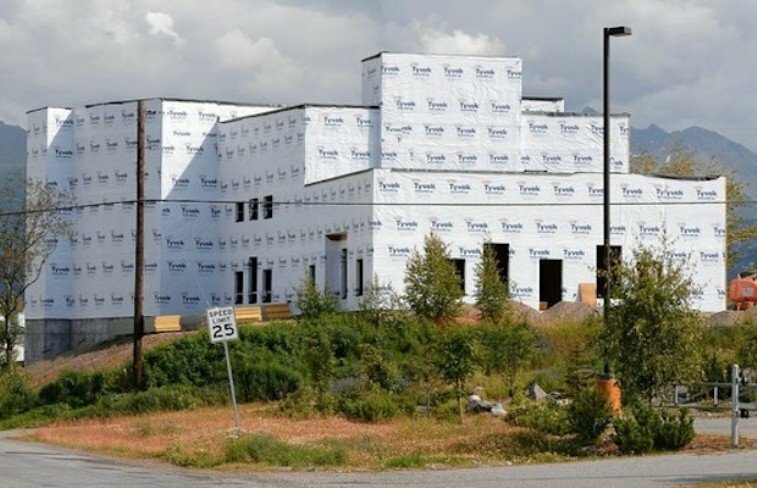 If the riders who might travel to Delaware County in May have the opportunity to see for themselves that Islamberg is not the bogeyman depicted by the far-right-wing media, perhaps they will leave with a more enlightened view of the whole thing. Are the FBI and State and Justice Departments far right-wing, arch-conservative sources, since there is an abundance of primary source records from them that substantiates both CAN’s and our reports, but The Daily Star must not have bothered to check first. Of course, the best defense is always a better offense, as is exhibited in a 2013 MOA propaganda video, Targeting Islam and Muslims in America, which accuses “front organizations” for Israel (a code word for Jews) — such as Martin Mawyer’s organization CAN and the Klu Klux Klan — of of spreading “Islamophobia” and conspiring to destroy Muslims, among other things. This is further elaborated upon in The Daily Star’s May 1, 2016 “news” story, “Islamberg Spokesman: Stand Up Against Hate,” by Jessica Reynolds, who reported on an event that was held at the Unitarian Universalist Society in Oneonta and hosted by officials of the local chapter of the NAACP to “dispel” misconceptions about MOA and “show support for area Muslims.” Unlike Mahoney, she never approached us for comments, but — quoting Rashid (“Carl”) Clark, the mayor of the Muslim enclave, Islamberg, and the statements of NAACP officials — Reynolds echoes the same “tired” details about Doggart and unfounded claims about us and our ride . . . But people should not be singled out and targeted for who they are or what they believe in, according to Regina Betts, vice president of Oneonta’s chapter of the NAACP. Because of this, Betts said, plans are in the works for area supporters to assemble alongside members of Islamberg on May 15 so that the bikers will see a peaceful and united front as they drive by. It is important to note that our ride is not a “rally” or “protest,” as it has been improperly dubbed by The Daily Star. ABUAJ is comprised of law-abiding individual American bikers and citizens — most of whom are parents, veterans, and professionals with children, families, and jobs to uphold — and our message too is of peace through national security. Mahoney, Reynolds, and, respectively, The Daily Star have unnecessarily put them at risk by stoking the flames of hate, anger, and fear with their own glaring bias and propaganda. It first must be said that our group is not “against” Muslims, as the above title denotes, which sets the overall tone, once again suggesting Mahoney’s own inherent bias, not that of ABUAJ. Nowhere in any promotions about our ride do we subscribe to this view, and we are not merely “billing” it as a “Ride for National Security.” It is a ride for national security. Jamaat ul-Fuqra, which was removed from the U.S. State Department’s list of foreign terrorist groups after 2000, has been linked to dozens of murders, assassinations, and bombings across the U.S. and abroad, including the 1993 planned World Trade Center bombing, the shoe bomber Richard Reid, the convicted D.C. sniper John Allen Muhammad, and a hotel bombing in Portland, Oregon. Although the MOA compounds are not identified by name in the Patterns of Global Terrorism report, a 2005 Homeland Security report directly links it and its compounds to Jamaat ul-Fuqra. This was further confirmed during the 1993 trial of Glen Ford, an ul-Fuqra terrorist involved in a 1991 bomb plot in Canada who testified that Gilani convinced the U.S. branch to change its name to MOA. Similarly, a 2006 intelligence report by the Regional Organized Crime Information Center (ROCIC), which was funded by the U.S. Department of Justice, makes no distinction, stating that Jamaat ul -Fuqra receives significant funding for terrorist operations from MOA and its offshoot, IQOU, which, like MOA, was founded by Gilani as a U.S. nonprofit organization. As illustrated by the ROCIC report tables above (click on the link at the end of article for exhibits), white-collar crimes, as well as drug trafficking of narcotics, are major sources of revenue for Jamaat ul-Fuqra’s terrorist activities, and front companies, such as Professional Securities International (PSI), are established to launder and transfer funds to Jilani in Pakistan. When Gilani first formed Jamaat ul-Fuqra in 1980, he reportedly began “preaching against Western culture” at Al-Farooq Mosque in Brooklyn, New York, and “primarily targeted black American Muslim converts from the inner city, mostly those with criminal backgrounds.” According to the ROCIC report, there are currently at least 35 suspected Jamaat ul-Fuqra communes with over 3,000 members throughout the U.S. Islamberg in Hancock, New York, is identified as the first of them to be established by Gilani and his American recruits. Their structure is described as typical of “classically structured terrorist cells” and its members as terrorist extremist — but more on this later and back to our ride and Mahoney’s first hit piece on us . . .
Again, our May 15th Ride for National Security passed Islamberg is not a “protest” or “rally,” as it has been falsely and unfairly dubbed by The Daily Star. It is one of many other peaceful and lawful methods that ABUAJ has chosen to educate the American public about the ever-increasing threat of terrorism in America and abroad, and, in this particular case, to proactively advocate for the State Department to reclassify groups such as Jamaat al-Fuqra as foreign terrorist organizations to safeguard our homeland and Americans of all stripes — Muslims and non-Muslims included. To be fair, it would be remiss not to mention that Mahoney included most of our initial email to him in his first story about our ride. Nevertheless, by taking our statements out of the proper context — juxtaposing them to his statements about Doggart, as is done in all four of The Daily Star pieces about us — he has distorted our genuine intentions, inflaming an undeserved climate of hate and fear. His titles alone connote bias, conjuring pejorative stereotypical images of American bikers and fueling the flames of animus for future relations between us, the Hancock community, and American Muslims in general. Obviously, our group and our ride are not against Muslims, local or otherwise. Rather, we stand in solidarity with American Muslims and non-Muslims alike against the very real threat of terrorism, which is an issue that should concern and unite every American. Mahoney later contends that the organizer of the ride “sought to put distance between the organization and Doggart,” when, in reality, the need to do so would not even be an issue if Mahoney did not bring up the subject himself to begin with, most egregiously placing ABUAJ in the same context and light as Doggart. Like the gift that keeps giving, it is a theme that he and his newspaper resound each and every time the topic crops up. Suffice it to say, Mahoney and his colleagues and friends at The Daily Star seem to have had their own agenda in mind all along — to instill in the people of Hancock, New York, a sense of unwarranted fear with a fallacious, hate-filled message about ABUAJ and our ride and with a veiled association between us and Doggart, when no such connection exists. While the statistical verdict is still out for 2015, the latest FBI hate crime statistics from 2014 show that the largest group of victims from religiously motivated hate crimes was Jewish, making up 56.8 percent of the total victims compared to 16.1 percent of religiously motivated crimes against Muslim victims, which is a 40.7 percent difference. Unfortunately, MOA leaders have a long, documented history of promoting such hate against Jews themselves (also see here and here). 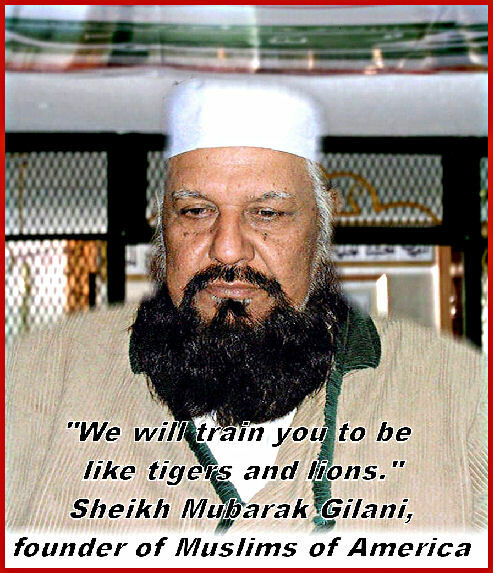 This is aptly conveyed in a September 2002 MOA propaganda video, which was written by Sheikh Gilani, produced by IQOU at Islamberg, New York, and Directorate of Information of the MOA, and later obtained by The Clarion Project. Either way, violent Islamic terrorist attacks against Muslims and non-Muslims alike have risen exponentially throughout the world, and MOA is correct to point out that Muslims make up the majority of its victims. The National Counterterrorism Center found that in 2011 alone Muslims themselves suffered between 82 and 97 percent of the fatalities related to Islamic terrorism, but that figure is significantly higher than recorded in most other and more recent reports (see here, here, and here). Figures on Islamic terrorism against Muslims, or any other religious group for that matter, are somewhat sketchy, since reporting methodologies and data collection are generally based on news reports and aggregated according to geographical regions and terrorist groups rather than by religion. We also are in full agreement with Mahoney when he relays a March 21 statement by MOA, noting that “Muslims of America declared: ‘We must use all legal means available to stop the terrorization of people based on their faiths for any reason. '” This is precisely the same reason ABUAJ is hosting a ride that focuses on national security — to improve upon law enforcement’s ability to uphold and enforce our nation’s laws. In fact, to assure the safety and peace of mind of everyone concerned — so that no faith or group from either ABUAJ or the community of Hancock at large feels the slightest bit threatened — we have been in direct communication with the local New York State Police department, who will be present during our ride passed Islamberg. Even before the second hit piece about us was released by The Daily Star, we had already posted and promoted guidelines for our May 15th ride. As is illustrated below, our ride is not a rally or protest but for educational purposes only. ABUAJ will be riding passed Islamberg on a public state road that runs perpendicular to Muslim Lane, where the complex is located, but we will neither be stopping at its entrance nor trespassing on its property. We have instructed all participants that Islamberg is a private, gated commune and that women and children reside there and to be mindful and respectful of that. 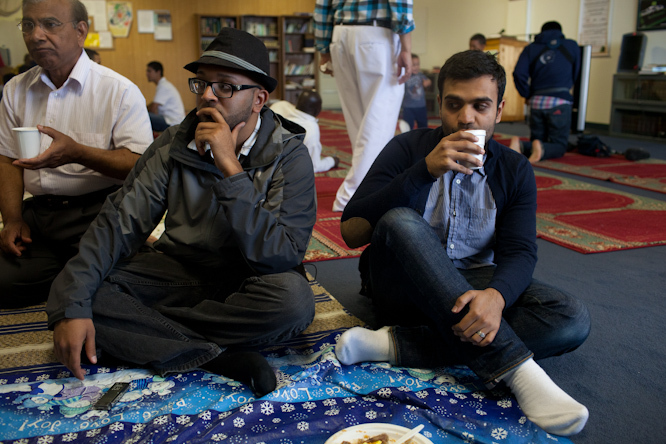 Muslims of America describes itself as a population of primarily African American Sunni Muslims. the group says it has a long history of fighting against disinformation about its activities. Following the assault on various sites in Paris last November, the head of Muslims of America, Hussein Adams, issued a statement declaring his group has no affiliation with the Islamic State and condemned its activities. ‘Muslims are not terrorists, we are the No. 1 victims of terrorists,’ Adams said then. It is here where both Mahoney and the head of MOA, Hussein Adams — as well as MOA’s Mayor, who Reynolds’ quotes in her story — begin to whitewash some of the more painful realities of terrorism, jihad in America, and the history of MOA itself, which we cannot overlook without correcting the record. First, as noted above, we understand and agree that Muslims are the primary victims of Islamic terrorism, which discredits the notion proclaimed by MOA that Muslims are not terrorists. Second, ABUAJ never once associated MOA with ISIS, which makes its above-quoted contention an irrelevant, mute issue. Third, we reject the entire premise of Islamophobia, which is akin to the pot calling the kettle black after MOA’s long, sordid history of hatred towards other groups. In fact, MOA’s general counsel, Tahirah Amatul Wadud, was recently appointed to the board of the Massachusetts chapter of CAIR. As reported by Ryan Mauro, National Security Analyst for The Clarion Project,“Islamophobia” is a term that was first derived and promoted in the early 1990s by the International Institute for Islamic Thought (IIIT), a front group of the Muslim Brotherhood. As the think tank Discover the Networks explains in “Politics of ‘Islamophobia,’” the term was expanded upon and promoted after 9/11 by groups such as the Council on American-Islamic Relations (CAIR), an unindicted co-conspirator in the largest terrorist fundraising trial,U.S. v. Holy Land Foundation for Relief and Development et al, in U.S. history and has been used “as a weapon to advance a totalitarian cause by stigmatizing critics and silencing them.” Its suffix, phobia, connotes an unwarranted, exaggerated sense of fear, but, in this instance, the realities of Islamic terrorism are not based on either unfounded fear or the discrimination of Muslims. ‘There was no need for America to go to war against Hitler. Hitler was not the enemy of America or the American people. There was a mutual animosity between Hitler and the Jews. So, the American people paid a very heavy price for fighting someone else’s war,’ Gilani wrote. It is unconscionable that MOA — with a Judeophobic leader who spews such inflammatory hatred, reducing the Holocaust to an anti-Semitic Jewish conspiracy, which is based on his own hatred and unrealistic fear of the Jewish people — would have the temerity to cast stones, when its own counsel and representative parrots this type of toxic venom at Jews. Our group, on the other hand, does not discriminate on the basis of religion. The focus of our Ride for National Security passed Islamberg is not against Muslims. It is about Islamic terrorism, and we are against the actions of the individuals and groups who carry it out. Needless to say, not all Muslims are terrorists, and our focus would be exactly the same if Jamaat ul-Fuqra was a Nazi organization comprised of mainly Christians, Buddhists, and Jewish members, white supremacist members of the Klu Klux Klan, or, as it is in this case, Muslim members. As Muslims concerned about Islamist terrorism, we urge the U.S. State Department to label the Pakistani militant group, Jamaat ul-Fuqra, as a Foreign Terrorist Organization. We are alarmed that this group, operating under various names like Muslims of the Americas (MOA), says it has 22 “Islamic villages” in the U.S. and Canada. We stand in solidarity with them. 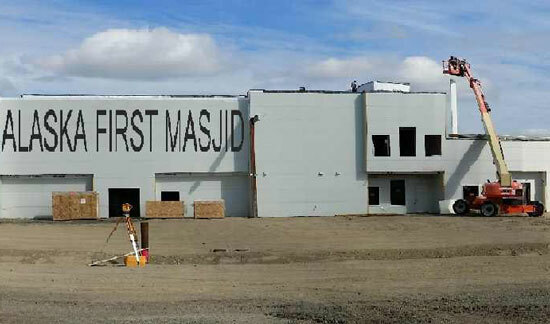 If MOA has no connection to Jamaat ul-Fuqra, as it has repeatedly claimed, it has no reason whatsoever to feel harassed and discriminated against and should in fact welcome and join our May 15th ride to designate it as a foreign terrorist organization and stand in solidarity with us, The Clarion Project, and the other North American Muslim groups………..
continue reading at original PRESS RELEASE…..but its conclusion is cited below….. Unlike The Daily Star, our information is rooted in primary-source evidence, not opinions and spin, that is based on records, reports, and raw videotaped footage from decades-long research and protracted investigations by counter-terrorist experts, the FBI, and other U.S. law enforcement agencies. Yet, stunningly, it has taken an anti-American stance against our national security to stand on the side of Islamic terrorism under the fictitious banner of standing by MOA and Islamberg but apparently not by the rest of the American people. In doing so, they have stirred a cauldron of unnecessary hate and fear and would be all the wiser if in the future they did their due diligence before defaming us and other groups with baseless comparisons, libelous characterizations, and sensationalized “reports” that promote themselves and sell papers but incite anger, hatred and discord and frighten the public — perhaps most especially the women and children who live at Islamberg in Hancock, New York.While proclaiming to stand against hate, The Daily Star, its writers, and friends have concocted a false narrative and taken aim against ABUAJ, portraying us as a hate group to deligitimize us and our message and stifle political discourse and action, as well to thwart our educational goal to raise public awareness about the genuine modern-day threat that American Muslims and non-Muslims face from homegrown Islamic terrorism. We welcome the American Muslim community to join us, stand by them too, and help us in our educational mission for the safety and security of all Americans.By contrast, we stand on the side of right in support of The Clarion Project with over a dozen North American Muslim organizations who also have called on the State Department to reclassify Jamaat ul-Fuqra as a foreign terrorist organization. We stand with the thousands of Muslims and non-Muslims, whose voices have been silenced in large part by a dishonest, complicit left-wing press that seems more intent on political correctness than it does on reporting accurate news and upholding the safety and lives of innocent Americans. ______________________________________________________________________Special thanks and credit to The Clarion Project and Christian Action Network for providing a wealth of resources with their groundbreaking research.